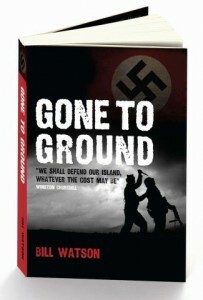 We are giving away 5 copies of the Aux novel ‘Gone to Ground’ by Bill Watson. This gripping novel relates to the formation and training of the Auxiliary Units and also charts the revenge, sabotage and murder they delivered to the Nazis in occupied Britain. Set in the small town of Duns in Scotland, much of the information relates to the town and wider area, with references to real locations used by the Duns Patrol. T&C’s Apply. Comp not open to CART CIO’s.